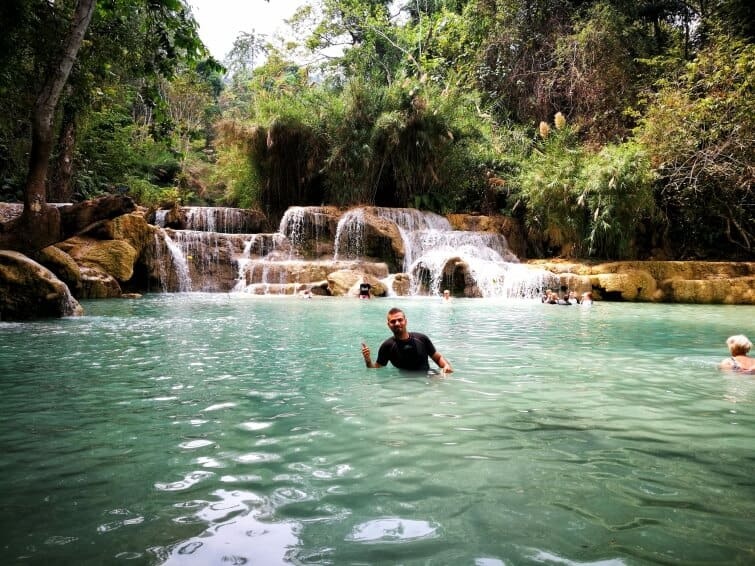 The Kuang Si Waterfall is about 30KM away from Luang Prabang city centre which you can easily access via motorcycle, minibus etc. 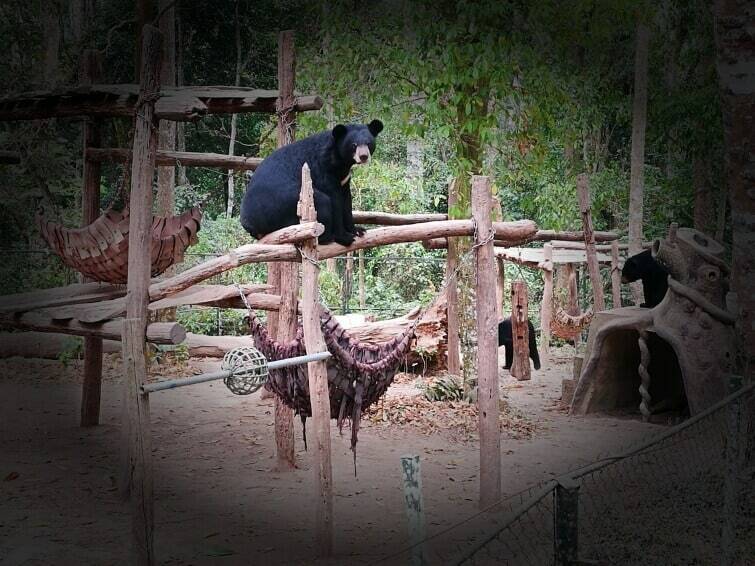 The admission fee to this place is about 20,000 Lao Kip which includes to a bear sanctuary that you pads on the way to the waterfalls. The pools also make great swimming holes and are very popular with both tourists and locals. You can change clothes for swimming at the wooden huts located close to the entrance. The pools also have cascades of up to five metres high with cold water due to the shade given by the surrounding lush tropical jungle, if you don’t fancy a swim then you can relax in the shade and watch others having fun jumping in and out of the water. There are trails allowing you to climb up to the top where you can see the stream feeding into the falls and enjoy some more natural pools. 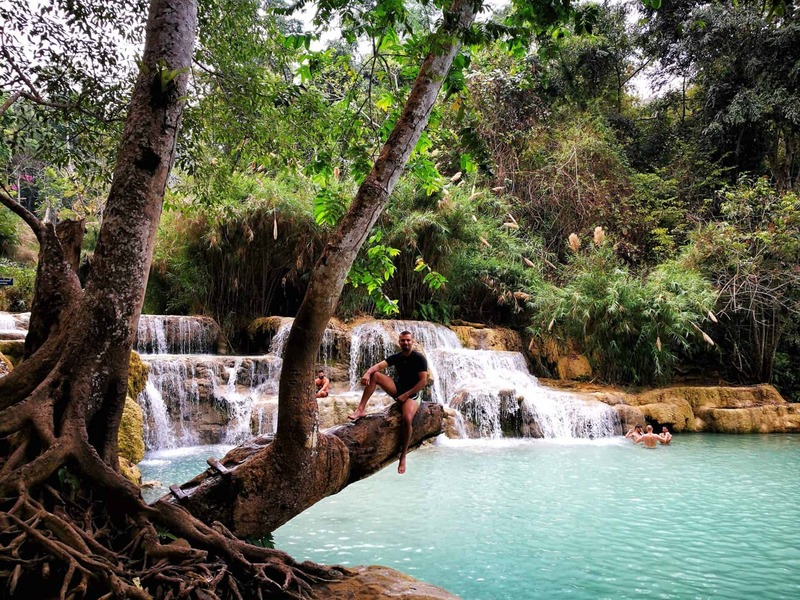 Check out the video below of Kuang si waterfall in Luang Prabang, Laos. 1. Bring your own food from outside the park as you will get hungry if you spend long hours in the park. Fruits are sold throughout the park by locals. 2. Wear water shoes, the rocks are not even and it can hurt you especially kids! 3. There is a wood branch for jumping or diving as the picture above where I was seating on it. I would suggest that you don’t dive with your feet especially if you’re tall as the pool is not that deep. 4. Go in the morning, i.e. 7.30 AM. This place can be crowded in the late morning onwards as it is very popular. If you are like me who don’t enjoy much tourist in the nature area, go early. This is well worth the visit. Go and see for yourself, you won’t be disappointed.